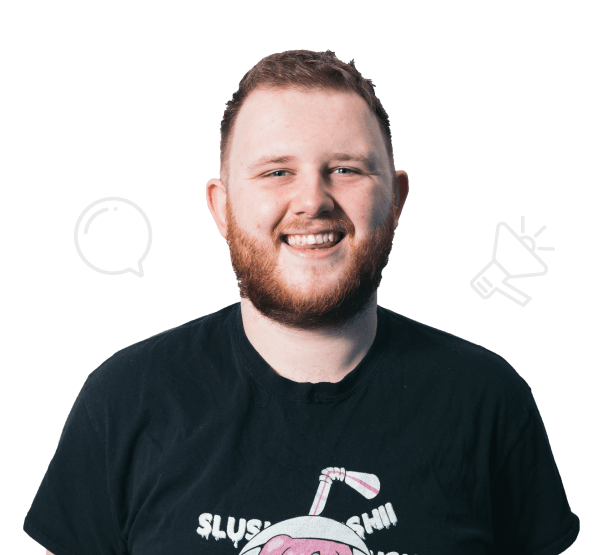 On Friday the 9th of November, Ellis and I headed to London for a Brighton SEO training course in Marble Arch (ironically, it was not in Brighton). 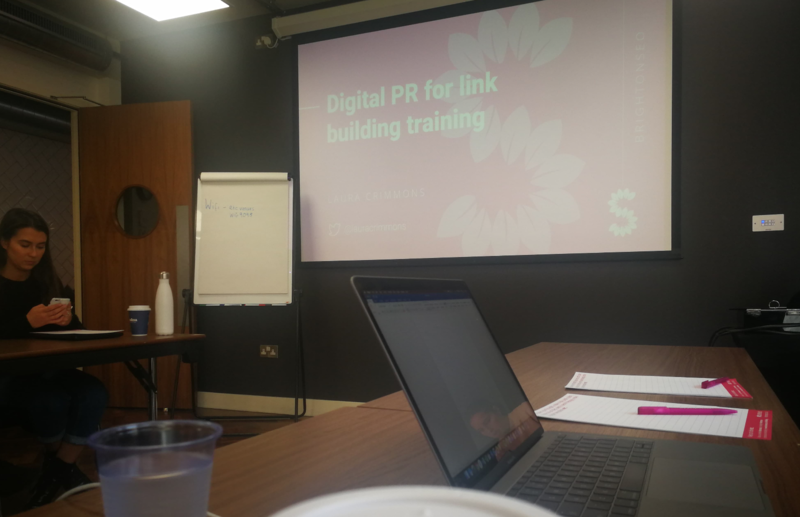 We spent our day at a training session for Digital PR for Link Building, run by Laura Crimmons, the founder of Silverthorn. Of course, we were there to learn, so here are a few highlights that we took away. It may have been the early morning and lack of coffee, it may have been that I missed my opening doors class in year 1; but when we got to the venue, there was a set of double doors, a handle on both side. I gave the door a pull and it didn’t budge. I looked for a buzzer to get someone to let us in, but alas there was none. It wasn’t until a few minutes later we saw a receptionist who mimed ‘push’ at us and I realised I had pulled a push door. For my whole career in Digital Marketing, I have neglected Reddit, although I use it recreationally. I had never thought of utilising it for marketing purposes. But, most of the people I spoke to at the event were singing its praises. Of course, what could be better than a near endless amount of pre-existing communities that you can ingratiate your brand with? Reddit is a great platform to promote your content for PR campaigns and get it seen by your target audience which of course leads to clicks, shares and if you’re lucky, backlinks. We’ve all been there, you’ve been in the brainstorm session for about half an hour and you only have 2 solid topics. Well, what if I told you there is a way to get 108 topic ideas in half an hour? Yeah, that’d be pretty neat, right? 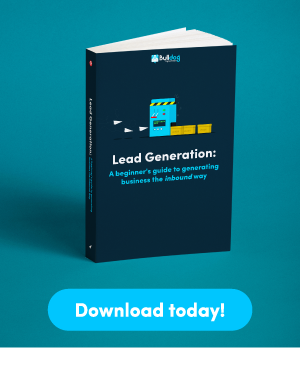 With 6-3-5 Brainwriting, you can get 108 topics for your campaign in half an hour of work! All you need is 6 people and a few sheets of paper. All 6 participants write down 3 ideas on a specific worksheet within 5 minutes, then everyone swaps their worksheets onto a team member who will then expand on the topic or use one of the ideas as inspiration for another, leading to 108 topics in 30 minutes of work. 👎🏼 Worst Ideas First – When you first get into the meeting, odds are you’re not going to be in the creative swing of things, so go around the room and get everyone’s worst idea. This gets everyone engaged, gets bad ideas out the way and can even present a topic which can be salvaged to make some good content. 👐🏼 Word Association – It’s a classic game for car journeys, but using it can help you get ideas for topics you’d never think of. Start with a core aspect of your clients brand (so, if you were marketing Taco Bell, you’d start with food), then use word association to stretch out the bounds of topics you can think of. This can lead to great campaigns that you wouldn’t think of if you were too focused on your client’s brand. Take this campaign by Staveley Head for example, a Taxi insurance firm who derived cleanliness as a reason people take taxis and then did a study on the cleanliness of public transport in London. ⭐ Starbursting – This is again a simple yet effective activity. Find out questions people are asking and find a way to answer their questions and fulfil their needs. By doing this you can get an awesome asset like this travel money calculator, which says how much money you should bring to a country based off of local buying power & what you’re doing. News-Jacking has always been a good way of generating coverage for your brand. When something happens in the news that you or your client can comment on, you push out a response to journalists. But, rather than reacting to the news & hoping you’re fast enough to get coverage, you can plan ahead and get your News-Jacking ready to go before the news even happens. For example, if you were working a campaign for a mortgage broker, you could send out a comment to journalists before the budget with what you hope will happen in areas relevant to the brand to get coverage. Evergreen content is great for link building as you can continuously get links to it, but for PR, having the same info forever won’t keep getting you coverage. But, if your original work was based off of a survey or study, you can re-do the research & update the data once or twice a year, to make it relevant & newsworthy. If people loved your content the first time around, chances are they’ll be interested in seeing the updated results. Reusing existing assets with new data is an excellent way to get a brand back into the public eye without having to dedicate a lot of resources to it. Creatives like “Unbroken Britain” have done this excellently, keeping their data refreshed & generating more coverage long after the initial release.